The site for this Dreaming is Yumari, a collection rocks west of Kintore in the Gibson Desert. Yumari is the site of a forbidden love union between a Japaljarri man and a Nangala woman. 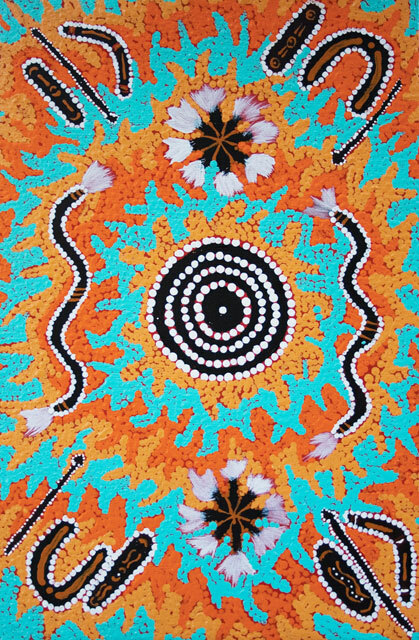 The Dreaming was passed down to the artist by a Pintupi man.